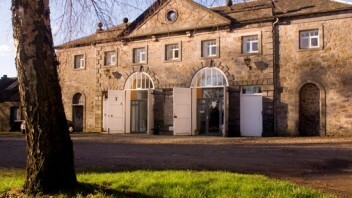 Basic Ingredients: Aside from its fantastic location in an 18th-Century coaching house in the grounds of Newliston House, just 12 miles from the city, the ESFW has a lot to offer. Since 1987 the school has been running one-day and evening courses that cover themes such as Slow Cooking, Scottish Seasonal Food and Panic-Free Entertaining, mostly priced around the £120 mark. For those seriously pursuing a career in food, the school offers a four-week intensive course, ten-week foundation course and a six-month diploma. Corporate and team building events include a Whisky Dinner and Cocktail Masterclass. They say: It is an inspiring place to study for gap year students, aspiring career-minded chefs or those who just love to cook. We say: The five-course Food and Wine matching dinners, held in the Bell Tower Room designed by architect Robert Adam, are good value at £55 and there’s a range of summer courses for kids. The Diploma teaches an impressive range of skills, encompassing food, wine and dining techniques and a five-day business course.